Thanks for all the Warm Wishes for my Birthday. Yesterday was my turn to celebrate my birthday and once again it was a temperamental August day with freezing cold temperatures. I made some chocolate cupcakes with a yummy caramel icing and caramel chocolate topping. Once again I was totally spoilt with lovely goodies and warm wishes from all my friends. 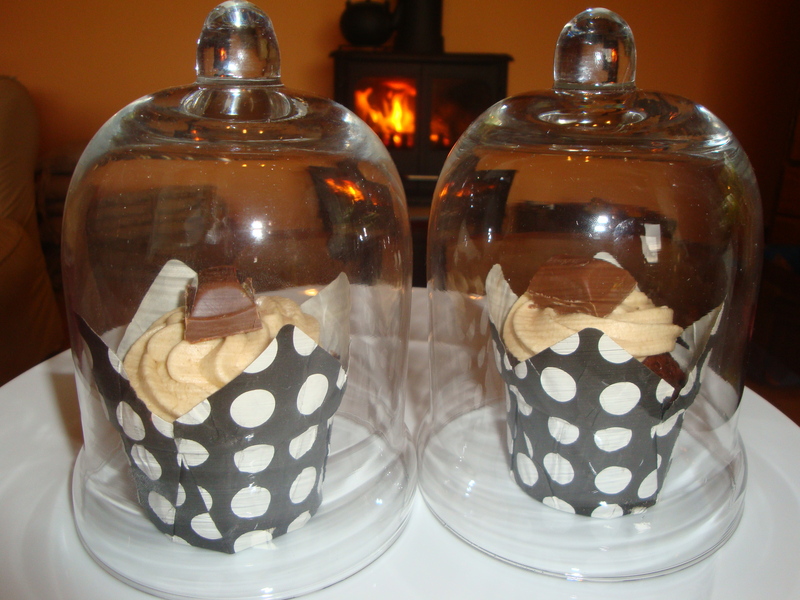 This picture was taken with the cupcakes under 2 cute glass domes, a gift from Tracy, and the fire in the background. Thanks to everyone for all the brilliant birthday wishes.